To France today for a trip to the National Razor in the company of Adam Philippe, Comte de Custine. Known as Général Moustache, Custine fell afoul of the Revolutionary Tribunal when his strategic mind failed him and he was censured for failing to properly command revolutionary forces against their loyalist opponents. After a successful military career, Custine took a sideways move into politics but he was soon back in the forces, serving with distinction in a number of battles and campaigns. 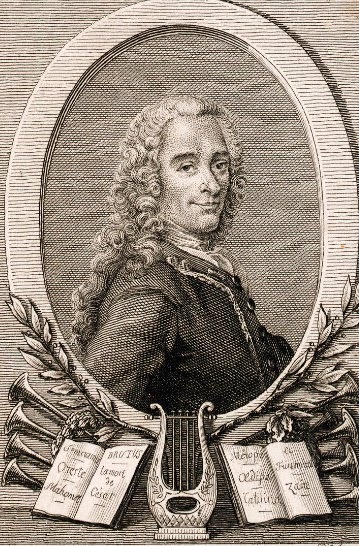 However, the Comte de Custine's career would soon falter, with fatal consequences. Throughout 1792 and into 1793, it seemed that the Comte de Custine could not make a successful military move no matter what he did. 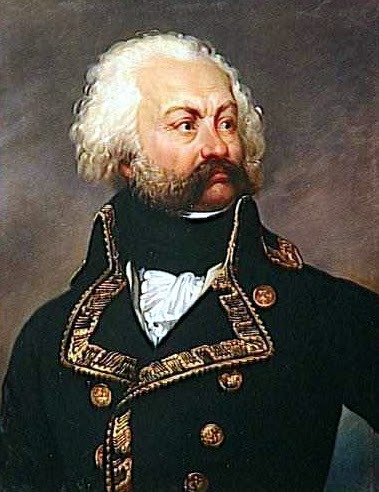 Efforts to negotiate with his Prussian opponents failed and after series of high profile defeats and retreats he was recalled to Paris to account for himself before the Revolutionary Tribunal. 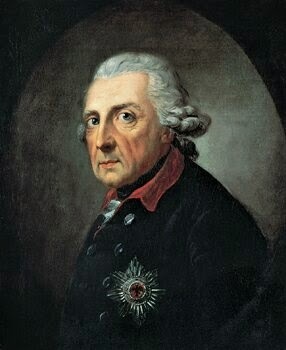 Here he found himself accused of treason and conspiring with the Austro-Prussian High Command. At this point there can have been little doubt as to his fate and Général Moustache went to the guillotine on 28th August 1793. The salon where I write my tales of the long 18th century is the place where I feel happiest; it is here, surrounded by the things most precious to me, that I am at my most productive, creative and settled. It is far from minimalist and full of things that bring the 18th century to life, whether pictures, books or little items of interest. 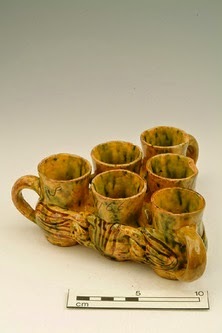 Another man who turned his home into a most personal place was my guest today, Eise Jeltes Eisinga. Employed in the wool industry, Eisinga's true passion was for astronomy and since childhood he was fascinated in the heavens, publishing his first book on the subject at the age of just 17. He harboured grand dreams of being the proud master of his own planetarium and, in 1774, decided to make this a reality. Astronomers across Europe were keenly waiting for a conjunction of the moon, Mercury, Venus, Mars and Jupiter that was due in May 1774. However, Reverend Eelco Alta, from Boazum in Netherlands predicted that this conjunction, due on 8th May, would mark the end of the world. In his own book he predicted that the planets and the moon would crash into one another and force the earth straight into the sun, resulting in a fiery demise for the planet and all life on it. Many who read the book took it as fact and soon people were just a little panicked that they were headed for Armageddon. Sure that the Reverend and his readers were mistaken, Eisinga set about constructing the Eise Eisinga Planetarium in his home in Franeker. 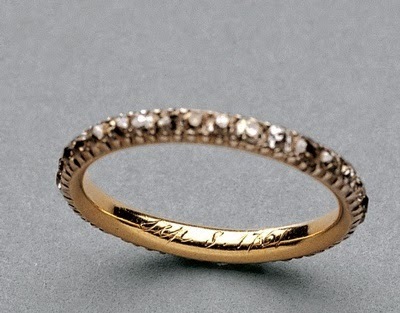 Although he missed the conjunction by some time, he eventually completed construction in 1781. As soon as it was finished, the planetarium was out of date as Uranus was discovered soon after and there was no space remaining on the ceiling in which to paint this newly discovered planet! 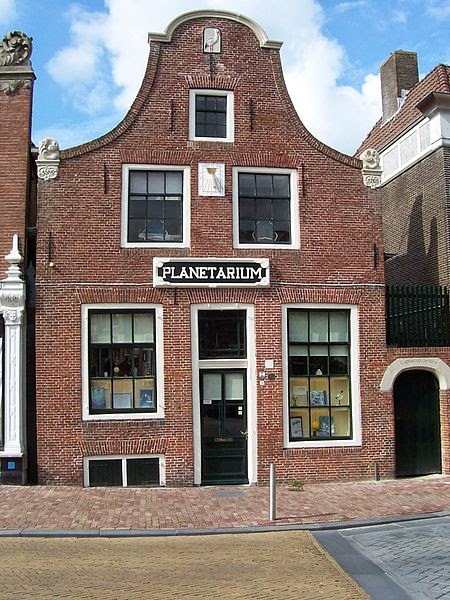 However, Eisinga's planetarium is still a remarkable achievement and King William I of the Netherlands certainly thought so; visiting the planetarium in 1818, he immediately decided to buy it for the nation and it remains in working order to this day! Today we journey far afield to South America and the last day in the life of Jacques de Liniers, a French military officer who served as Viceroy of the Río de la Plata. Liniers enjoyed a turbulent military and political career and though he did eventually retire, he could not stay away from public life and was destined to meet a violent end. After being appointed viceroy in 1807, Liniers found that his time in office was not destined to be easy. He was soon challenged and ultimately deposed, handing over control of the government to Baltasar Hidalgo de Cisneros in 1809 and entering retirement. As Liniers went into retirement, the country entered a time of unrest that led to the May Revolution of 1810. Following the Revolution, Liniers emerged from retirement and became involved in the counterrevolutionary movement, joining efforts to effect a monarchist uprising against the newly-installed government. His efforts to raise a force were to prove disastrous and he was arrested by Ortiz de Ocampo; although Ocampo brought an armed force to make the arrest this move was completely unnecessary. The counterrevolutionaries were badly organised and damaged by infighting, so when the government force arrived to make the arrest, they met with no resistance. Without the benefit of a trial, Liniers was sentenced to death alongside a number of his fellow counterrevolutionaries. However, Ocampo recognised their popularity in Buenos Aires and refused to carry out the executions, taking them prisoner instead. 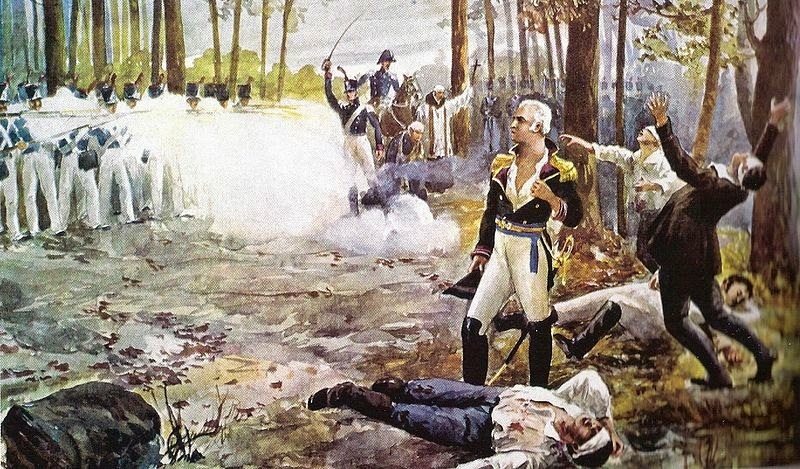 The reprieve was temporary at best and Juan José Castelli took charge of the prisoners and executed them at Cabeza de Tigre in 26th August 1810. Liniers lives on in the very fabric of Buenos Aires in street names and even the name of a province in the city. Liniers was buried without ceremony in Argentina and here he remained until 1861 when, at the request of Queen Isabella II of Spain, his remains were returned to Spain and laid to rest in the Pantheon of Cádiz. It's time to pour the gin, roast something tasty and welcome rogues, harlots and peers alike to the salon because the year has rolled round and it's my birthday once more. I mused a little over the tale I might tell today and eventually settled on one with a birthday flavour, so without further ado I present a little something on Bonnie Prince Charlie's silver travelling canteen! This beautiful 31 piece canteen was made by the splendidly-monikered Ebenezer Oliphant of Edinburgh in 1740-1 and was owned by Prince Charles Edward Stuart. It is thought the set was presented to the prince for his 21st birthday gift and what a wonderful gift it would have been! The silver gilt canteen is richly adorned with images of thistles and foliage representing the Collar and Badge of the Order of the Thistle as well as the Prince of Wales's feathers. 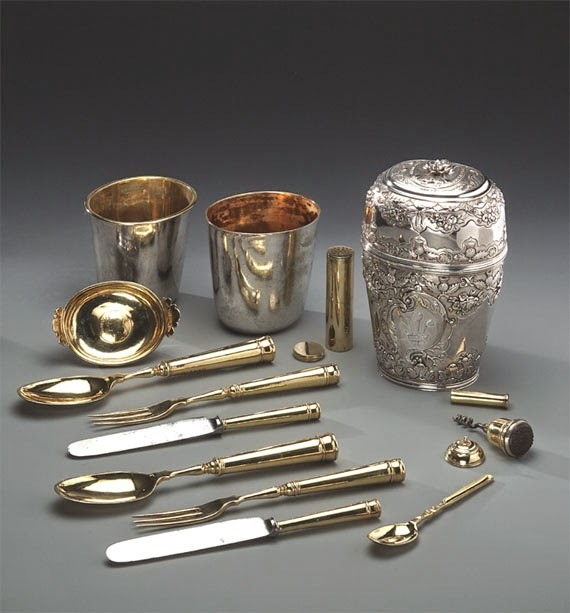 It holds a variety of implements for civilised dining on the go including a nutmeg grater, salt and pepper shaker, two wine goblets and a corkscrew. One can see that Charlie must have been a chap of fashionable tastes as there is no suggestion of subtlety about this glorious piece, no suggestion of slumming it on the road. The canteen remained in Charlie's possession until, in 1746, it was seized at Culloden by William, Duke of Cumberland and Bonnie Prince Charlie never saw his 21st birthday present again! Today marks the anniversary of both the birth and death of the famed American Naval Commodore, Oliver Hazard Perry. Controversial and celebrated in equal measure, he is memorialised today in the form of monuments, buildings and numerous place names. 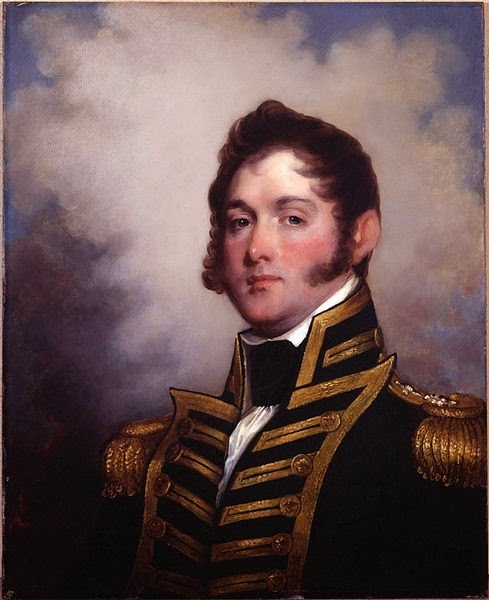 Perry served to great acclaim in the War of 1812, among others, and was highly decorated for his exploits, even if he was not always the most politic of gentlemen. 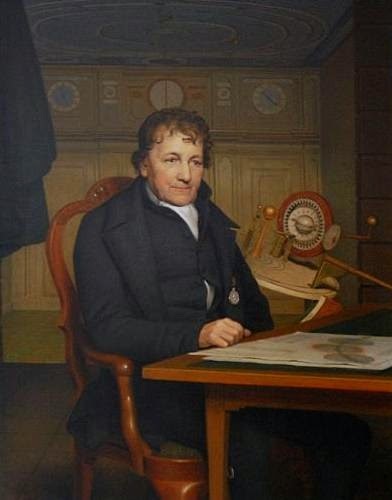 In addition to his naval career, Perry was known for his efforts to combat piracy and in 1819 he was due to meet with Simon Bolivar to discuss measures again pirates in the Caribbean. To this end, he was on board the USS Nonsuch, returning from Venezuela and an expedition up the Orinoco River. Mosquitos were a persistent problem and during the long, hot summer, Perry contracted yellow fever as a result of the insects. With the Commodore declining fast, the crew of the Nonsuch made desperate efforts to reach Trinidad and medical care but their efforts were destined to fail. As the ship approached the island Perry died on the day he reached the age of thirty four. Initially buried in Port of Spain, Trinidad, his remains were later reclaimed and moved to Newport, Rhode Island, near his childhood home. 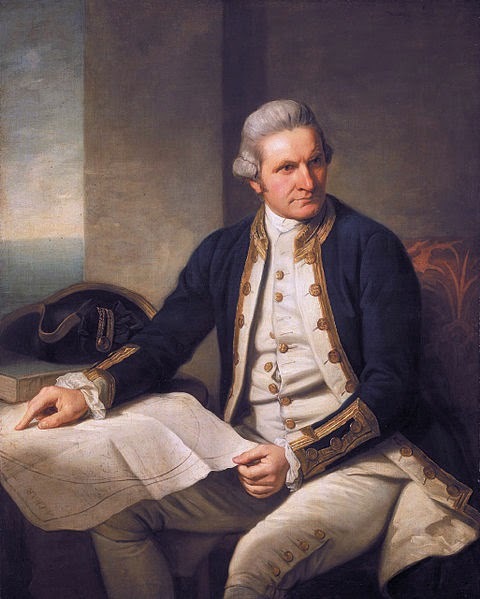 We have met Captain James Cook on a couple of occasions in the past, sharing the landing at Botany Bay and witnessing his murder after a disastrous foray into Hawaii's Kealakekua Bay. 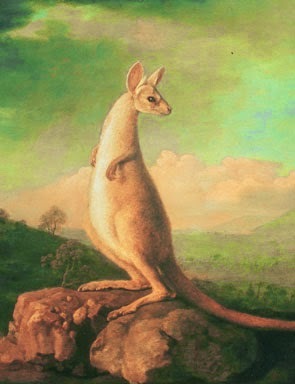 Today marks another anniversary for Cook, that of the discovery of Possession Island off the coast of Queensland, Australia. 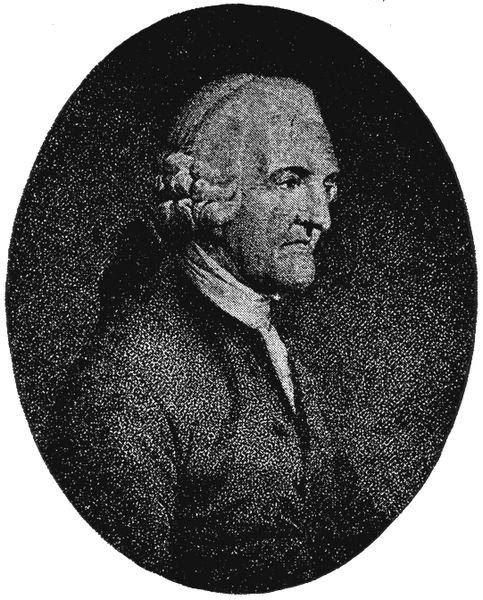 Following his discovery of Botany Bay, Cook sailed on and eventually discovered a group of islands in the Torres Straits. These islands were home to the Kaurareg people and Cook eventually made landfall on an island that its inhabitants knew as Bedanug or Bedhan Lag. However, the Captain came ashore and raised the flag as the sunset on 22nd August, 1770, claiming the eastern coast for Britain in the name of King George III and declaring it as New South Wales. More than two centuries later, the Kaurareg people were successful in their petition to have the native title rights of Possession Island and its neighbours returned to them in perpetuity. Today the island is celebrated for its rich flora and fauna and Cook's landing is marked by a monument on the spot where he once raised his flag and claimed the land for the king. Today marks the anniversary of the death of physicist Benjamin Thompson, a much-decorated gentleman who lived a life that could never be called dull. He went from his birthplace of Massachussetts to England and then to Bavaria and Europe, all the time working on inventions as diverse as the drip coffeepot, the Rumford fireplace and even the occasional warship. The mixture was cooked slowly and though perhaps not delicious, provided a low cost, nutritious and simple meal. The soup was served in the workhouses of Munich where the poor were employed to make military uniforms and though children were expected to work to earn their keep too, they were also educated and given time in which to play with their peers. At mealtime, the soup was served with rye bread and workers went back to their tasks with full bellies; in fact, the soup was adapted to serve as a basic military ration and with some amendments to recipe, remained in use by some militaries for two hundred years. In May 1804, the famed Corps of Discovery Expedition set out to explore the uncharted west of America. Commissioned by Thomas Jefferson, the iconic Lewis and Clark expedition lasted for two years, four months, and ten days and today marks the anniversary of the death of the only fatality on that trip. Charles Floyd was just 21 years old and served as the expedition's quartermaster. He kept a journal of his experiences and was well aware of the importance of the work, taking his own role extremely seriously. In late July 1804, Floyd confided in his diary that he was suffering from an unexplained illness. Although he appeared to recover, within days he was deathly ill, his condition deteriorating at a frightening speed. William Clark reported that the young man was suffering from bilious colic and bore his illness with stoicism and bravery. Clark was with him at the moment of his death, reporting his last words as, "I am going away. I want you to write me a letter." Modern medical historians believe that Floyd died as the result of a ruptured appendix that led to peritonitis. Having suffered from both of these conditions, I cannot imagine how much Floyd must have suffered. There was certainly nothing that could be done to save him and the young quartermaster was buried atop a bluff beside the newly-named Floyd River, a tributary of the Missouri River near what would one day become Sioux City, with full honours. A simple cedar post was driven into the ground to mark the spot of Floyd's Bluff and inscribed "Sergt. C. Floyd died here 20th of August 1804." 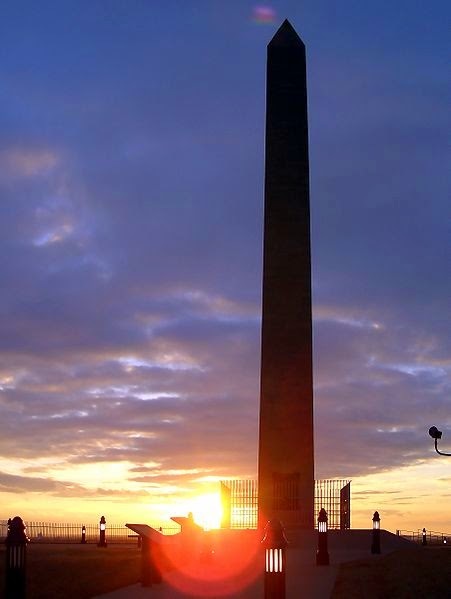 In the years that followed the cedar post was whittled away by souvenir hunters and replaced on more than one occasion; eventually an obelisk was erected on the spot, a permanent memorial of Sergeant Charles Floyd. Regular readers of my medical posts will know that I am occasionally visited here in the salon by a certain fictional gentleman of my acquaintance by the name of Doctor James Dillingham. A most dependable Edinburgh sort, Doctor Dillingham can always be relied on for a little nugget of something from the history of medicine and today it is a tool of the medical trade that has caught my eye. I have always had a fancy for blue glass and this was just unusual enough to appeal, so I thought I would set down a little something on the subject of leech tubes. 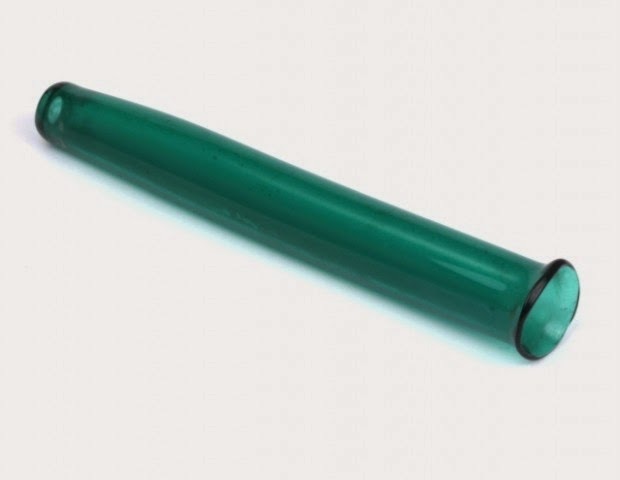 The rather snazzy object depicted here is a Dutch leech tube fashioned from turquoise glass. With leeches a standard bit of kit in the physician's arsenal, a tube of this type could be used to transport the leech safely on visits to patients. There are two openings in the tube, one wide and one narrow, and a cork in the larger open end kept the leech safely held in place, whilst the narrow aperture at the other end allowed the creature to breath. Upon reaching the patient, the cork would be removed and the wide opening pressed to the skin so that the leech might attach to the skin and go about its medical business. Although leeches are less common in medicine now than once they were, they are still employed in some cases but sadly these wonderful devices have passed out of everyday use. 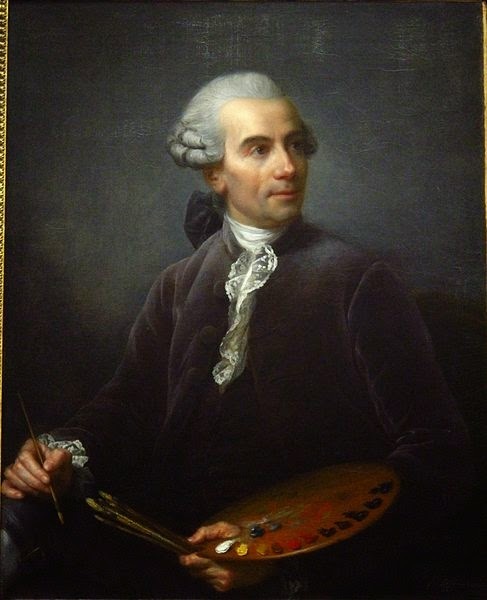 On this, the anniversary of the birth of artist, Claude-Joseph Vernet, I thought the time was right to examine some of his remarkable works. 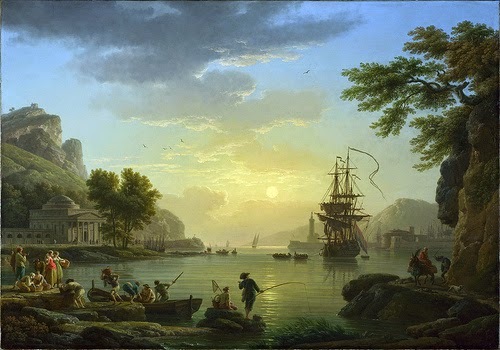 The son of a painter, Vernet was noted for the beautiful landscape paintings he produced and he often exhibited contrasting works together, demonstrating the harmony and savagery of nature. 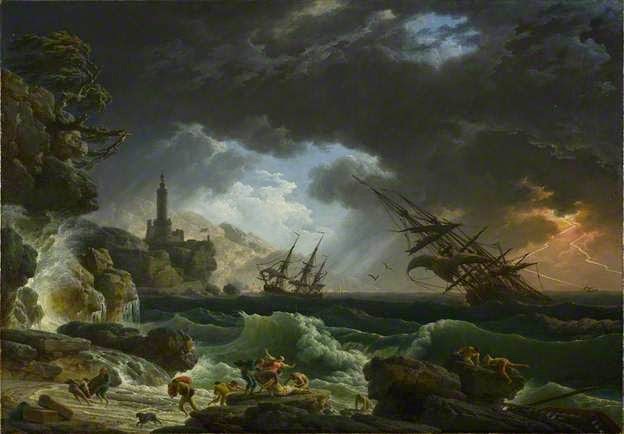 Vernet lived for many years in Italy and fell in love with the world of the ocean, depicting wild storms and tranquil surfaces, with ships both in peril and safely sailing into port. These contrasts are nowhere clearer than in his series, Two Landscapes: A Sunset and a Storm. In 1773, Clive of India purchased two paintings from Vernet, A Shipwreck in Stormy Seas and its companion piece, A Landscape at Sunset. Other than the nautical setting, the content of the paintings could not be more different and A Shipwreck in Stormy Seas depicts an image that would have not been unfamiliar to those who lived in coastal regions. In it we see mighty ships tossed this way and that on the violent waves as the few survivors stagger to safety on the wind-lashed rocks. It is an image that perfectly captures the fury of nature and the dangers of sea travel in the era, with the impressive vessels no match for the lightning we see striking off into the distance as the sun battles to pierce the clouds. Contrast the violence the lightning flaring in the sky with the gentle depiction of soft sunlight on the tranquil waves depicted in its partner, A Landscape at Sunset. Here the waters are not a place of danger but of commerce and recreation, with people fishing and taking the air as the ships that appear so fragile in the storm sail majestically out of port. If this is the maritime dream then A Shipwreck in Stormy Seas is its nightmare flipside, the idea of the ocean as a source of riches depicted likewise as a source of danger. As a lady who loves the sea, these are richly evocative works and I could study them for hours. Vernet's paintings are so rich in detail and these are only two, I heartily recommend that you seek out others! As I book tickets for a pre-Christmas theatre jaunt later this year, I find myself in a theatrical frame of mind which is highly appropriate given that today marks the anniversary of a dramatic premiere. We head over the sea today to Paris and the first performance of Voltaire's tragedy, Zaïre, a famed text in French theatre. By summer 1732, Voltaire was feeling somewhat disenchanted. His previous work, Eriphyle, had not set the world of French theatre alight and audiences and critics asked why Voltaire did not feature love stories more prominently in his plays, as they all fancied a little romantic drama to pass the time. In response, Voltaire worked feverishly on Zaïre completing the five act tragedy in verse in under a month and offering it as his answer to the critics. A story of religious intolerance and doomed love, Zaire was to receive its premiere on 13th August 1732 by the Comédie Française at the Théâtre de la Rue des Fossés Saint-Germain. The case consisted of actors well-known in French theatre and tickets were in high demand as the audiences of Paris waited to see how Voltaire would respond to the relative failure of Eriphyle. In fact, as the crowds filed out onto the Rue des Fossés Saint-Germain, the responses were somewhat muted. There were some criticisms of thematic elements and one or two of the cast but Voltaire would not be defeated and revised the work until it was agreed by all concerned that the play was a triumph. Due to demand it ran for 31 performances and Voltaire took the company to Versailles, where Zaïre was performed for the court. 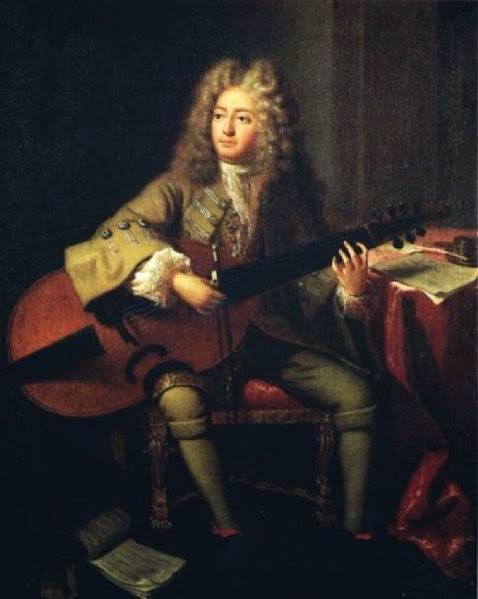 Following its European success, Zaïre was translated into English and performed in London in 1737; to this day it remains a popular piece and has inspired multiple operas and other dramatic works. There are some names that echo through the ages, men and women who will always be remembered for their philanthropy, heroics, or perhaps their infamy. These are the names that seem to sum up their era for better or worse and for me, one of these names is undoubtedly Castlereagh, a man who is perhaps less well known now than he once was though for me, he is a figure of endless fascination. Today marks the anniversary of his death and it is this story that I will tell, a bleak end to a troubled existence. 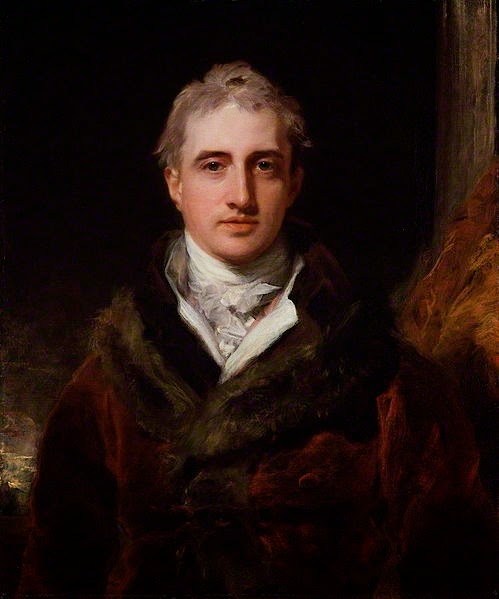 Castlereagh lived a life among the highest political spheres, serving in a number of high profile government offices in which he found himself increasingly at odds with public opinion. Associated with wildly unpopular policies and broken political promises, as he was attacked by the people, so too did his mental health become increasingly frail. In the year of his death, increasing stress saw Castlereagh's behaviour becoming increasingly erratic as he descended into paranoia. 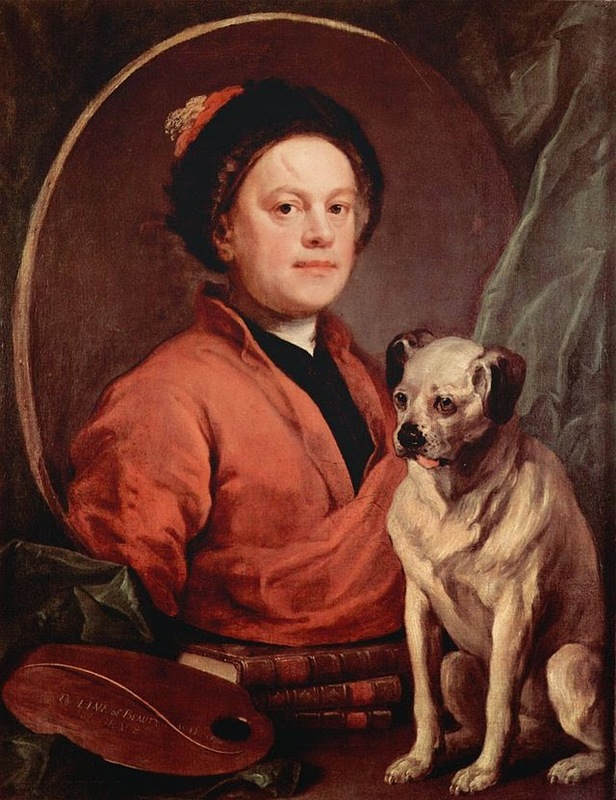 As summer drew on, Castlereagh returned to the sanctuary of Loring Hall in North Cray, Kent, where his friends and family remarked that he cut a most unsettled and unhappy figure. With his physician, Doctor Bankhead, in constant attendance and all razors and other dangerous implements removed from his reach, the once influential man passed long and unhappy days in mental distress until, somehow, he managed to come by a penknife. 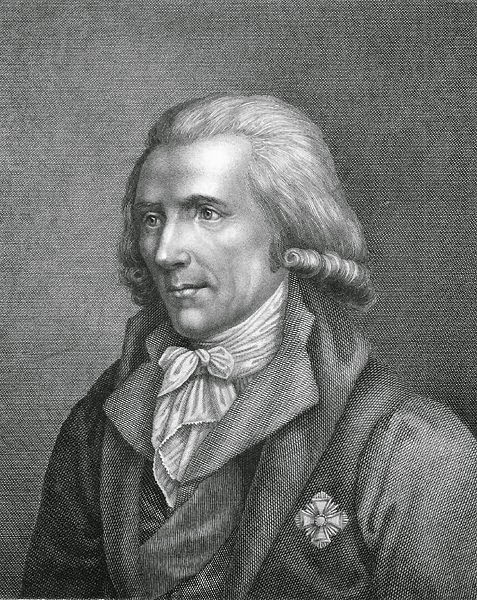 On the morning of 12th August Castlereagh's paranoia reached new heights and he aggressively accused his wife, Lady Amelia Hobart, of joining a widespread conspiracy against him. As she fled to summon Doctor Bankhead to attend the husband she had nursed throughout his decline, Castlereagh took up the blade and slashed his own throat. He was dead within minutes and as news of his suicide spread throughout the land, the nation fell into shock at such a violent end to the career of Castlereagh. 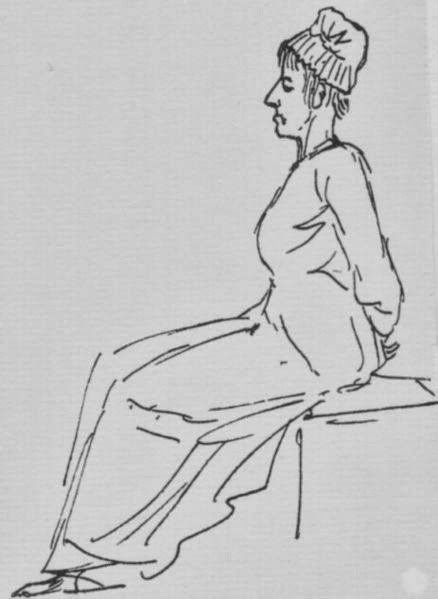 Perhaps in deference to his widow, the inquest found that Castlereagh had taken his own life whilst insane. Accordingly, he was buried with full honours in Westminster Abbey on 20th August. Even in this, the final act of Castlereagh's story, the unpopular politician's funeral procession was heckled and jeered on its way to the Abbey. Though his political opponents and colleagues alike were quick to sing the praises of Castlereagh, it is Byron's verse that has caught in the public memory, a savage memorial to a troubled man. When I am not gadding about in pursuit of stories of the long 18th century, I can often be found setting quill to paper to tell tales of romance, adventure and all sorts of scandalous behaviour. Whilst researching a little something recently on my Pinterest boards, I came across the image of a pair of ornate flintlock pistols that once belonged to Empress Catherine the Great, and thought I would share a little about these remarkable weapons here. The pistols were made by Johan Adolph Grecke in Saint Petersburg in 1786 and were accompanied by a fowling piece and a rifle. Although the rifle has been lost, the pistols and fowling piece remain as testament to the remarkable work of the gunsmith. 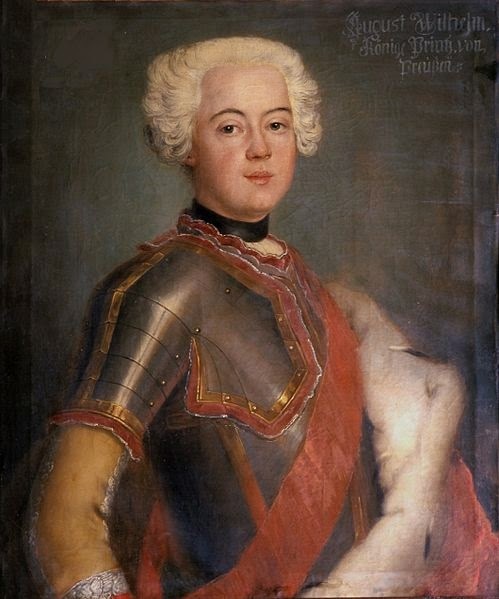 With stocks of ivory, Catherine's initial is marked on the grip and she later made a gift of the guns to Prince Stanislas August Poniatowski, a favourite of the Empress. The weapons were hugely fashionable at the Russian court and now reside at the Met Museum in New York. 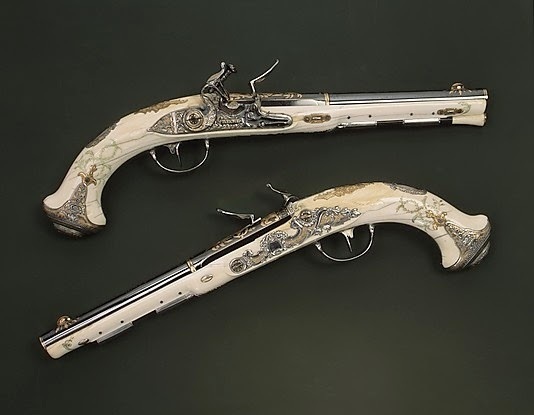 I cannot help but admire the exquisite workmanship of these pistols and the significance of Catherine passing them along to the prince cannot be underestimated. It sent a clear message of the strength of her respect for this particular courtier, who she supported throughout his career. In the long list of those who have been awarded the title of Prime Minister of the United Kingdom, there are names that will go down in history for one reason or another. Some are celebrated for their work in office, others vilified and some, for better or worse, are little remembered at all. 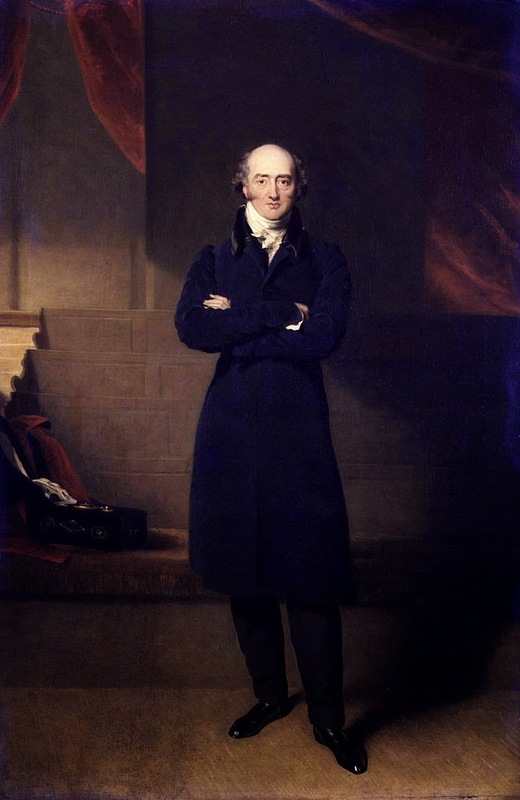 During a conversation I had of late in a tea shop adjacent to the salon, it became apparent that few of my learned companions were aware of George Canning, whose 119 days in office stand today as the shortest term served by any Prime Minister. 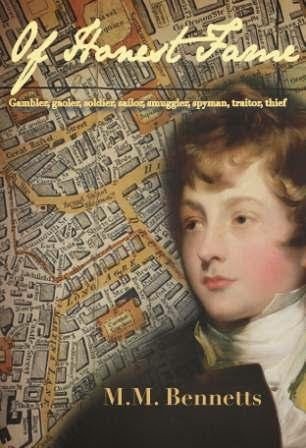 A respected Tory and a steady hand on this, the anniversary of his death, I thought the time was right to revisit the final days of the man who was chosen by George IV to lead the government. When he came to office in 1827, Canning did not inherit a happy parliament and his health was already failing. He had not been well since January when he attended the evening funeral of Frederick, Duke of York. Sitting in the unheated, nighttime chapel in the depths of winter, Canning came down with a cold so serious that it threatened to carry him off before spring came round. In fact he soldiered on until his lungs became diseased, the Prime Minister continuing in government as his frail health went into terminal decline. As the summer wore on Canning took up residence at Chiswick House and became increasingly unable to perform official duties. Here he lingered on, staying in the very room where Charles James Fox had died over two decades earlier. At four o'clock in the morning on 8th August 1827, George Canning passed away. His last words, spoken on his deathbed were reportedly, "Spain and Portugal". Canning was buried in Westminster Abbey amid much ceremony; those who rallied against parliamentary reform mourned his passing. An able politician yet one not much loved by the ruling class of his own party, we might never know what Canning's legacy might have been if not for that final, fatal illness.